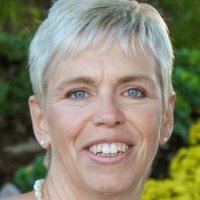 Marianne McLaughlin is Senior Manager Global Consumer and Market Insights at New Balance footwear. She progressed from Mgr. of Forecasting & Analytics to leading global strategic acquisition and integration of Consumer and Brand insights. It's her objective to transition the organizational from US focused to global, from reporting to predictive and from single usage occasion to in-depth understanding of the target consumers. Mclaughlin likes to provide deep understanding of target consumer's behavior, motivations, influences, emotional and function needs through segmentation and ethnography, to enable positioning, differentiation and authentic storytelling that uniquely speaks to their needs.